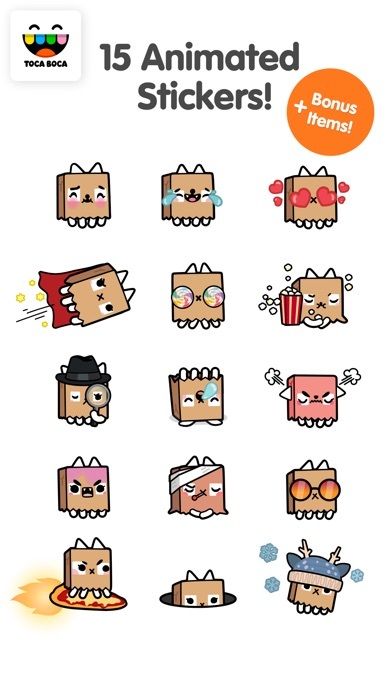 Up your texting game with playful animated stickers of Paper Bag Cat and add on accessories. 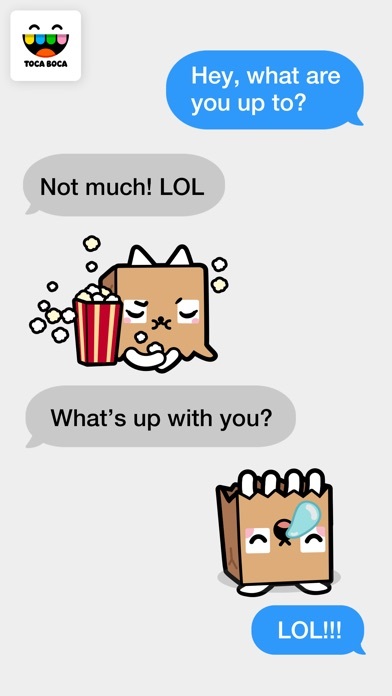 Express all your moods and emotions in your iMessages with this fun and quirky sticker pack! 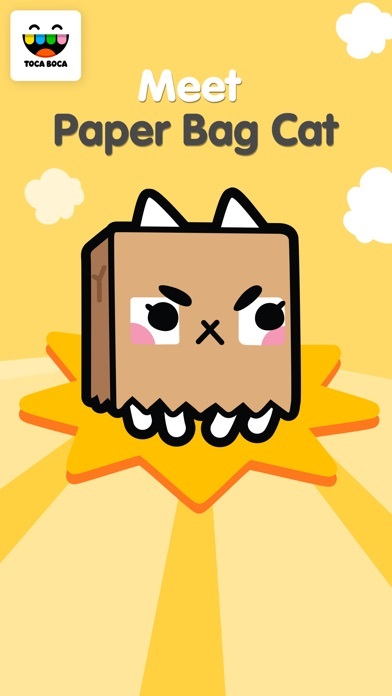 MEET PAPER BAG CAT Paper Bag Cat lives in Toca Life: City and is a former pageant contestant who grew tired of all the attention and decided to leave the life of glitz and glamour behind. 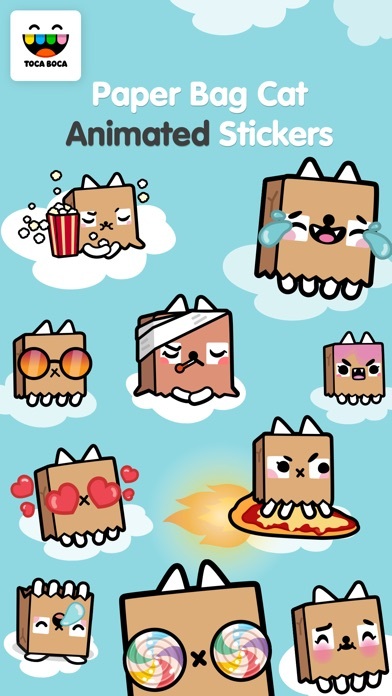 These days, the cat wears a brown paper bag and enjoys being grumpy, chilling out and flying on pizza. TOCA LIFE Toca Life: City is apart of the Toca Life world — a series of apps that give you access to a role-playing universe filled with everyday fun. 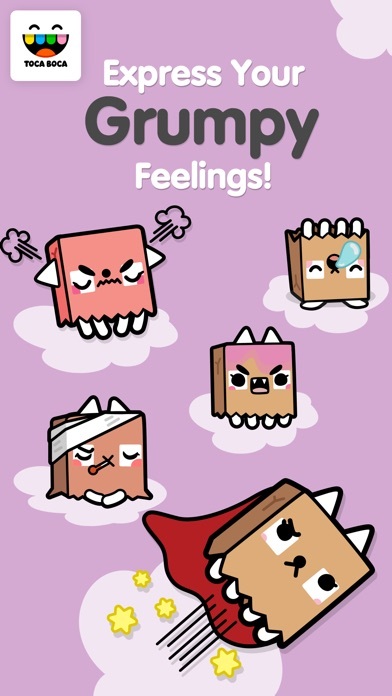 Whether visiting a small Town, on a trip to the City, at School or on an adventurous Vacation, the Toca Life series put you in control and let you create your own stories.